Australia Jet Charter arranges private flights to/from Airlie Beach, a resort town on Queensland’s Whitsunday Coast and the gateway to the Whitsunday Islands and the Great Barrier Reef. Whether traveling for a luxury vacation or business, our Airlie Beach, Australia jet charter brokers can arrange a private flight to/from Airlie Beach and neighboring areas. Travel to Australia using our Airlie Beach private jet charter service and arrive in style! Airlie Beach is a city in New South Wales (NSW), Australia. It is one of the many travel destinations our clients fly to. Airlie Beach provides many five star hotel options for luxury vacations, getaways, business travel, and events. The below list of luxury hotels are based on many factors including passenger feedback, location, amenities, and online reviews. Once arriving into Airlie Beach via luxury private jet, our jet charter service brokers can also arrange ground transportation to/from the hotel of your choice. Located off of the coast is the Whitsunday island. There are many beautiful landscapes here, one of which is the Hill Inlet. Be sure to take a tour to Whitehaven Beach to see it. This lagoon is a great place to spend a few hours, or even a day. It’s a great way to spend time with the family and go for a little swim. There are playgrounds for the kids, and the lagoon is very close to shops in the city. Heart Reef is exactly what it sounds like. Along with the many other reefs included in the Great Barrier Reefs is a reef in the shape of a heart. Many visitors take a helicopter tour to see it all. Near the lagoon is a great walkway that comes with a scenic view. The walkway has paths that go through the botanical garden, the Abell point marina, and from the lagoon to Canoncale Beach. One of the hottest clubs in Airlie Beach, visitors herald it for its great hospitality. Plus, before 11pm, entry is free and at times, the accommodations may be as well. Although not a prime destination, the Shute harbour is a very serene and scenic place to spend a couple or hours. 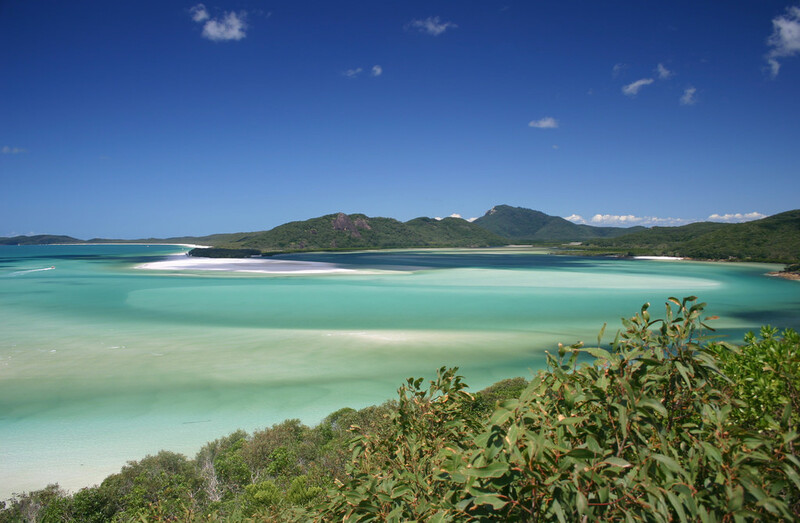 It’s also a gateway to the Whitsunday Island. Request a Quote or give us a call at 1-888-987-5387 to speak with one of our Sydney private jet charter service brokers for your next luxury vacation, business trip, or special event.